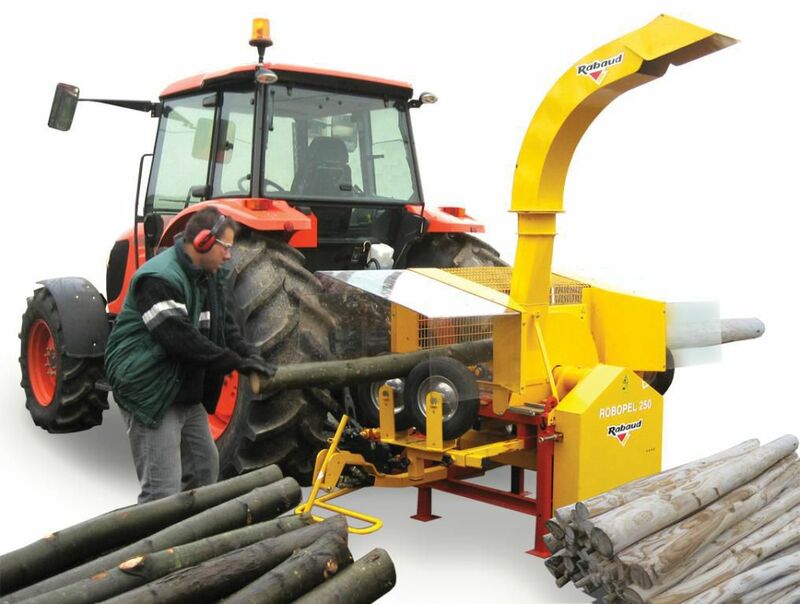 Semi-automatic peeler adaptable on Tractor 3-point linkage. Mixed electric/hydraulic unit 20hp (in option). 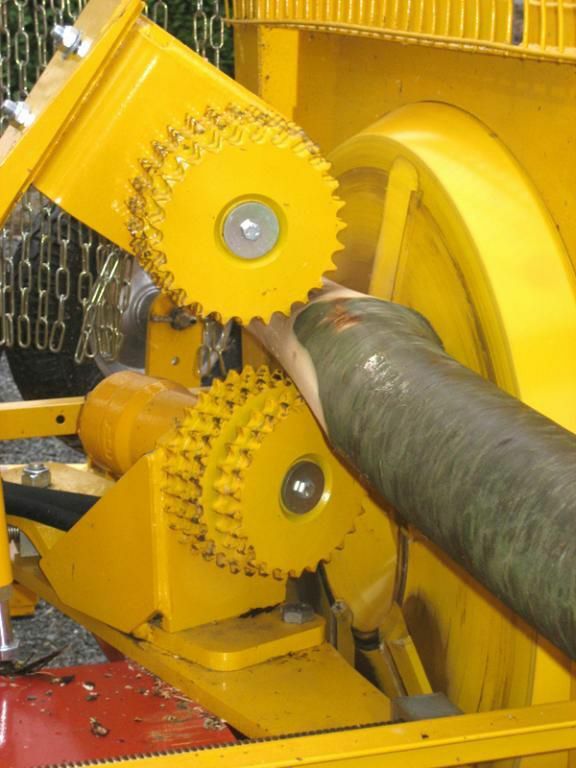 Peels wood of diameter 40 up to 250mm. 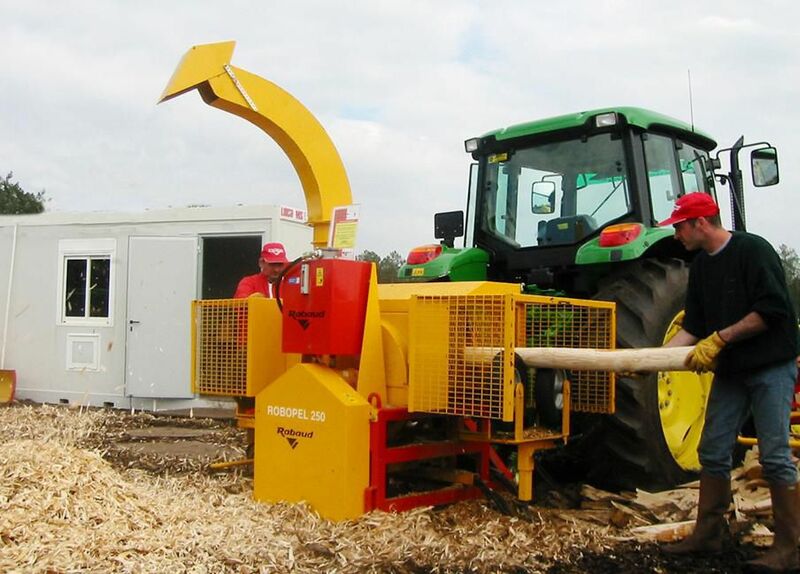 Wood forwarding speed can be adjusted: output 60 up to 120 posts/h. Adjustment of the peeling quality by pressure of the two pinions on the wood. Post is held at the entrance and at the exit of the machine with the V-positioned tyre wheels. NEW: Automatic release of the driving rollers (option). Discharge blower for the chips with mobile spout at 360°. 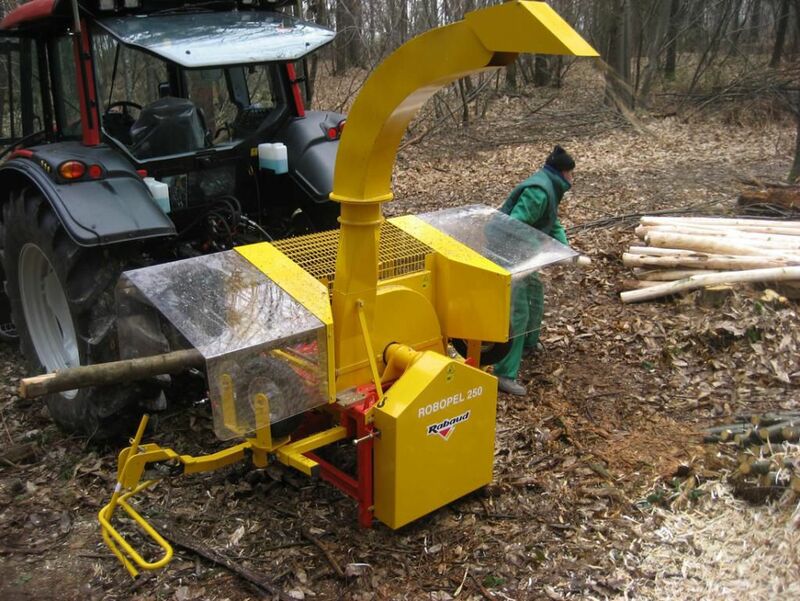 Ideal for discharging the chips into a trailer.